Tezaab Movie Dialogues- Get the best and famous movie dialogues from Tezaab. This is an was action movie which is produced and directed by N.Chandra and released on 11 November 1988. Anil Kapoor, Madhuri Dixit, Annu Kapoor, Suresh Oberoi, Kiran Kumar, Anupam Kher played the main lead roles. This movie gave actress Madhuri Dixit her first big break. 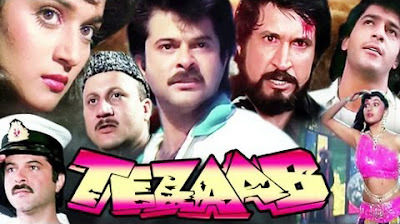 Tezaab is known for the song "Ek Do Teen" which was a very famous song. It was becoming a golden jubilee. Tezaab was the highest blockbuster at the box office for the year 1988 in Bollywood. The movie was also remade in Telugu as Two Town Rowdy, with Daggubati Venkatesh. 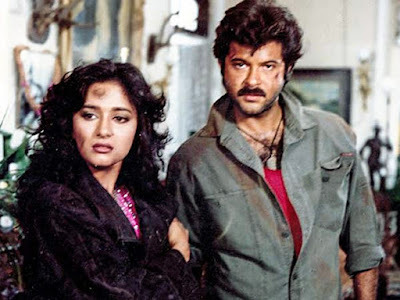 Tezaab was critically acclaimaed and garnered four Filmfare Awards from twelve nominations, Anil Kapoor won his first Best Actor Award and Madhuri Dixit garnered her first ever nomination for the Best Actress. Here We have collected some best and famous dialogues which are delivered by Anil Kapoor, Suresh Oberoi and others actors from Tezaab movie, some dialogues are really marvelous.